At their heart, investors are very conservative with their money. They want to avoid anything that will cause them to lose money on a bad loan years down the road, especially if it is the result of a new interpretation of existing regulations. To lower their risk of loss, investors will often place overlays on top of the legally prescribed rules to make sure they do not run into problems down the road with loans. Complicating the matter is that this approach is driven by a constantly shifting regulatory landscape. For example, just when lenders were adapting to TRID, The House of Representatives passed the TRID Improvement Act in February of 2018. While these potential changes to TRID changes are supported by a number of organizations in the mortgage space, any potential change to the law can create ambiguity which results in uncertainty in the secondary mortgage market. Second mortgage loans can also be problematic on the secondary market, because there are no uniform instruments for secondary liens published by Fannie Mae and Freddie Mac. 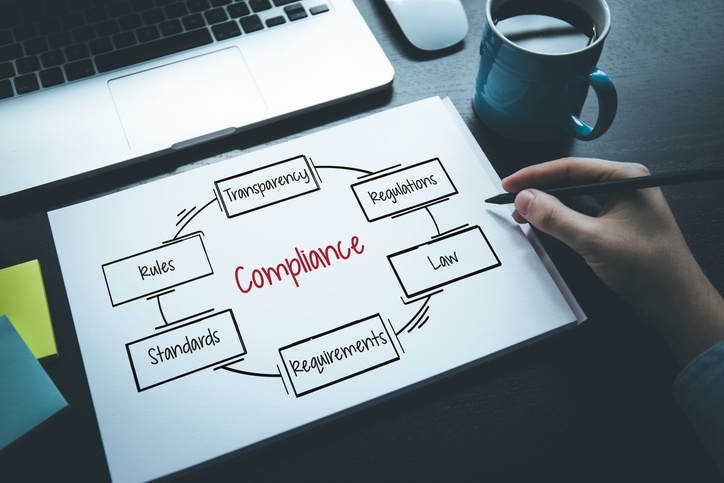 A lack of uniform compliance instruments leaves a gray area, making it difficult to know how certain state requirements should be read into a document. Due to the uncertainty, there could be room for error, leaving many investors to adopt additional rules to protect them from future changes to the regulation. The best way to adapt to the double layer of regulations and investor requirements is to leverage LOS and document technology to allow tighter controls, data tracking and audit capabilities. Innovative technologies will create tighter controls on the documents themselves, enabling them to be more accurate. These controls can also create a standardization to assist the loans moving from the closing table to the secondary market, bridging the gap for error. As with all areas of compliance, everything begins and ends with data. Tracking the data helps the loan officers and investors make a decision as to what types of loans and what types of parameters they will accept into their portfolios. For example, Docutech’s technologies enable secondary market loan officers and investors to run analytics on loan files and track data points without having to sift through piles of paper. The strong link between ConformX and the LOS ensures that the data is accurate and secure, with an auditable trail of any changes made to the loan file. To maintain loan compliance in the secondary market, it is important to build an audit trail for execution and storage of loans. First, lenders should select an LOS that can integrate fully with their document provider, enabling a complete loan file that allows the documents to be rendered compliantly. Docutech’s Solex eSign and eClose technology are also important for maintaining compliance for lenders working to sell digital mortgages on the secondary market. The eSign and eClose technology adds a layer of data overlay that ensures the data in the loan file is accurate and meets the criteria. This also builds an audit trail for execution and storage of the loans. Technology’s role in maintaining document compliance has a significant impact on the success of the secondary market. The proper use of document technology from Docutech lowers the cost and the risk of investor transactions. It also eliminates the necessity of reams of paper and hours of research to maintain compliance. As further developments are designed, we may even see the implementation of blockchain technology to allow for more transparency as everything will be backed by traceable data. Selling loans on the secondary market may seem to have additional compliance hurdles, but with compliance-focused platforms, like those from Docutech, lenders can more effectively assure investors of the soundness of their investments.